Rabat – The chief rabbi of Morocco, Aharon Monsonego, passed away today at age 90 in the Shaarei Tzedek Hospital in Jerusalem. The rabbi’s death was reported by Israeli news outlet Jerusalem Post. His state of health became critical on Monday, August 6, when he was taken to the hospital. Monsonego was a significant figure in the history of Jewish Morocco. Born in 1929, he was the son of Yedidya, the rabbi of Fez. Between 1945 and 1952, he studied at the Talmudic and Science High School in Aix-les-Bains, eastern France, where he also taught between 1950 and 1952. He obtained his diploma of rabbi and rabbi judge at the Council of the Three Great Orthodox Rabbis of Paris in 1951. 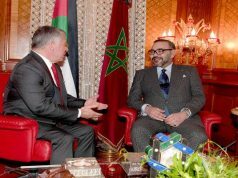 In 1952, Monsonego returned to Morocco following the call of Itshak Chalom, president of the Jewish community of Casablanca. 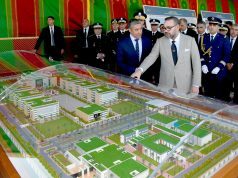 Monsonego ran the Talmud Torah school in Casablanca, which, at that time, had more than 1,500 students. 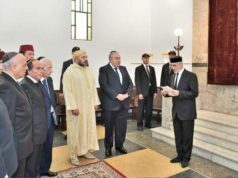 Rabbi Aharon Monsonego has been head of Morocco’s chief rabbinate since 1998, when he was appointed to replace Shimon Suissa, his predecessor. Due to his elderly age and worsening health, Monsonego decided to leave Morocco for Israel four years ago, in order to be able to live his last years with his children. 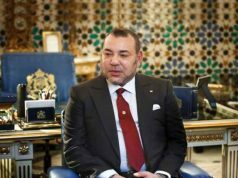 The role of chief rabbi in Morocco is particularly important, considering that, along with Sunni Muslims, the Jews are the only other religious community recognized as native by the 2011 constitution. 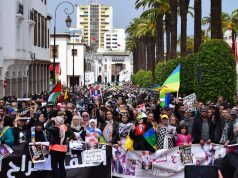 According to the data provided by Jewish community leaders to the US Department of State, there are an estimated 3,000 to 4,000 Jews living in Morocco, approximately 2,500 of whom reside in Casablanca. Monsonego’s funeral is scheduled for tomorrow, August 8, at 3:30 p.m., followed by his burial in the Har Hamenouhot cemetery in Jerusalem.